Subject: Donation From Mrs Jennifer Kamel. Donation From Mrs Jennifer Kamel. I am Mrs Jennifer Kamel,from Kuwait.I am married to late Mr Kamel jammel, who worked with Kuwait Embassy in Ivory Coast for Twenty-Six years before he died in the year 2008,after a brief illness that lasted for only five days. We were married for Eighteen years with a duaghter(Linda)who later died in a motor accident.Before the untimely death of my husband,we were both born again Christians. Since after his death I decided not to remarry or get a child outside my matrimonial home which the Bible is against. When my late husband was alive he deposited the sum of (US$2.5M)(two Million,Five hundred Thousand United States Dollar) in a General Trust Account with a prime bank inAbidjan Cote d'Ivoire. Presently,this money is still with the bank. Recently,Following my ill health, my Doctor told me that I may not last for the next eight months due to my cancer problem.The one that disturbs me most is my stroke sickness.Having known my condition I decided to donate this fund to a Christain organization (Church) that will utilize this money the way I am going to instruct herein,according to the desire of my late husband before his death.I want this fund to be used in Christain Activities like,Orphanages, Christain schools, and Churches for propagating the word of God and to endeavor that the house of God is maintained. The Bible made us to understand that "Blessed is the hand that giveth". I took this decision because I don't have any child that will inherit this money and my husband relatives are not Christians and I don't want my husband's efforts to be used by unbelievers. I don't want a situation where this money will be used in an ungodly way. This is why I am taking this decision. I am not afraid of death hence I know where I am going. I know that I am going to be in the bosom of the Lord. Exodus 14 VS 14 says that "the lord will fight my case and I shall hold my peace". Thanks for your prompt response to my mail, Infact, yourpositive response is a very big relief to me, becausemy contact to you is of divine direction from theLord and after much fasten and prayer I wasinspired by God to sow our donation seed through yourassistance hence my reason for contacting you for this and I am sure and believe in the Lord that this fund will be appropriately used for the expansion of his kingdom through you. To elaborate on the desire of my late husband and my self over this donation seed I'm sawing. through you, 90% of this fund must be channelled to humanitarian and Charity services with much emphasis on propagation of the gospel, building churches and ophernage schools for the out reachand expansion of the kingdom of Godhere on earth and the remaining 10% for you to enable you tooffset every expenses in actualising this assignment. I want you to understand that none of my husband's reletives knows about this because they are muslems and refused to accept Christ.And my late husband warned that they should not know any thing about this money,This is why I dont want to donate this to any nearby church here because I can not disobey my late beloved husband even in death. please you have to keepthisdonation arrangement secretly with you untill this fund is succesfuly transfered into your designated bank account for the work of God. 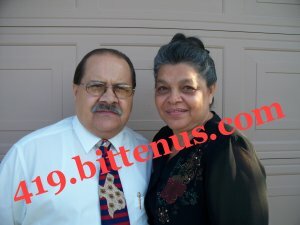 I will give you the contact of the bank and advise on how to proceed to have the bank transfer the fund donation into your designated bank account for the work of God. Therefore you are to provide me yourcomplete/identifiable name and address telephone and fax number to enable me prepare official power of attorney letter in your favourwhich I will have to send the copies tothe banktogether with the certificate of thefund deposit . These 2 documents will permit you every legal right over thefund andauthorises you the right to lay claims over the fund on your name as my legally appointed next of kin and succesor to the deposit,with out any legal implication even if I died before the time of the claim. implores you to always interceeded for me prayerfully, I believe with prayers I must receive my healing miracle as we are serving a faithful God Romans 1:17. I know that God is faithful to his wordbecause he said in Isaiah 46:11,I have spoken it, I will also bring it to pass; I have purposed it,I will also do it.All Thanks andGloryshould go to our God Almighty for this wonderful divine grace he has granted to us to promote humanity andhis gospel. I could not have writing this mail due to my health condition is at the worst stage now but I give glory to God who gave me the grace and strength to write to you now as you can see that time is not ourthusday, in this regards considering the bank deadline and notice for the claim of this fund and thanks, also to Sister Edith a staff nurse of the hospital whereI was admitted here,she helped me to scan and put in diskette at a nearby cyber cafe these Tow document I'm sending to you since I do not have printeror scanner here in the hospital with me to do this by my self. I enclosed herewithoriginal copies of theLodgementCertificate and the power ofattonrey of the fund deposit,thePower of Attorney LetterI have writing in your favour which is officially Legalised and authorised by myself hand signatory, permitting you the right of beneficiary over the fund we have withmy late husband bank in Ivory Coast. Though I have already notified them by mail that my next of kin shall contact them for their legal assistancetowards the fundtransfer arrangement toyour designated bank account as right now they are waiting for your instruction for them to proceed the claim andprocessthe transfer ofthe fund to your designated bank. PERSONAL TO CONTACT, DR GEORGE KONE . It is our goal to be an acts church with all of the attributes of holiness and family unity that defined the early church in acts. In reality you andI are members of same church and one body of Christ . 1 Corinthians 12:25: That there should be no schism in the body but that the members should have the same carefor one another.I pray that the peace of our saviour Jesus Christ rule in your heart, since as members of one body we are called to peace and be thankful Colossians 3.15. Ona seriousnote,my health situation is getting worsted than ever on daily basis and the doctor has recommended that I shall be undergoing heart surgery operationonsaturday and myspirit is very fearful but I have surrender totally to the will of God as mychance ofsurvivingthe heart surgery operation as it stands now according to doctors advise is unpredictableand unavoidable as it stand the only chance for my surviving if successful so please no matter what tomorrow may be do not let me down and please do everything as quickly as possible toensure thatthe bank transferred this fund to your bank account, you will have to nominate to them. Howevermy joyis to be alive and see this venture accomplished but if I could not wait to see it as the Lord may desireI am still proud and confident in you that you shall do everything accordingly. Remain bless in the LORD!!!!!!! WE ASSURED YOU THAT YOUR FUND WILL BE TRANSFERRED TO YOU ONCE YOU MEET THE TRANSFER REQUIREMENTS. WE HEREBY CONFIRM THAT MRS JENNIFER KAMEL AN INHERITANCE RIGHT TO HER LATE HUSBAND'S FUND AS THE NEXT OF KIN AND LEGITIMATE WIFE,SHE HAS APPROVED YOU BENEFIT THE FUND (US$2.5 M) IN THE GENERAL TRUST ACCOUNT, AS HER NEXT OF KIN AS INDICATED IN HER AFFIDAVIT DECLARATION BEFORE US. NOTE THAT THERE ARE LEGAL NECESSITIES THAT MUST BE FOLLOWED THAT PRECEDE THE TRANSFER. ( 1 ) TO COME TO OUR OFFICE TO COMPLETE OUR FUND TRANSFER FORMS TO BE SUBMITED TOGETHER WITH THE ABOVE MENTIONED DOCUMENTS AND YOUR PROVES OF IDENTITY PREFARABLY COPY OF FIRST PAGE OF YOUR INT'L PASSPORT OR YOUR DRIVEN LICENCE. YOU ARE THEREFORE REQUESTED TO CONTACT OUR LEGAL DEPARTMENT THROUGH AN INDEPENDENT ACCREDITED LAWYER TO OUR BANK FOR THE LEGAL REVALIDATION OF THE ACCOUNT AND PROCUREMENT OF THE CERTIFICATE THAT IS A PRE-REQUISITE FOR THE TRANSFER OF THIS FUND SINCE THE ORIGINAL ACCOUNT HOLDER IS LATE. BE ASSURED THAT AS SOON AS THE NORMINATED ACCREDITED LAWYER CONCLUDES THE LEGAL REQUIREMENTS ON YOUR BEHALF AND SUBMIT TO THE BANK,YOUR FUND WOULD BE TRANSFERRED ACCORDINGLY. THANKS FOR YOUR EMAIL, CONTENTS DULLY NOTED. BASED ON YOUR REQUEST, WE HAVE COMMUNICATED BRIEFLY WITH OFFICE OF THE INT'L REMITTANCE DEPARTMENT ATLANTIQUE BANQUE ABIDJANCODE D'IVOIRE ,ON YOUR BEHALF AND HAVE CONFIRMED EXACTLY WHAT YOUR CASE REQUIRED. 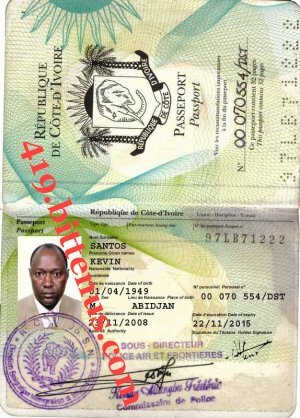 IN A BRIEFT INTRODUCTION, KEVIN & ASSOCIATES LAW CHAMBER LLC IS A FIRM OF LAWYERS REGISTERED UNDER THE LAW OF COTE D' IVOIRE. OUR COMPLETE ADDRESS IS AT THE TALE END OF THIS MAIL, WHILE BY ATTACHMENT IS MY ID PASSPORT FOR PROPER IDENTIFICATION AND GUARANTEE PURPOSE. IF REALLY YOU NEED OUR SERVICE IN THIS MATTER, WE WILL BE PLEASED TO ASSIST YOU WITH OUR MORE THAN 20 YEARS EXPIRIENCE IN THE FIELD OF LEGAL PRACTITIONING AND CONSULTANCY TO ACHIEVE YOUR DESIRE WITH PROFESSIONALISM AND ETHICS.OUR POLICY IS TO GIVE CAREFUL CONSIDERATION TO EVERY CASE, MOSTLY TO OUR CLIENTS'S SPECIFIC NEEDS AND REQUIRMENTS OUR FEES ARE VERY LOW AND AFFORDABLE, OUR SERVICE ALSO VERY FAST AND EFFICIENT. FOR OUR LAW FIRM TO PROCEED ON YOUR BEHALF AND COMPLETE YOUR INHERITANCE FUND CLAIMS AND GET ALL THE DOCUMENTS/ TRANSFER FORMALITIES AS DEMANDED BY THE BANK, YOU ARE TO FIRST OF ALL PAY OUR UNNEGOTIABLE SERVICE/RETAINER FEES OF3,800, DOLLAERSONLY. FOR QUICK TRANSACTION WE THAT OUR UNNEGOTIABLE RETAINER AND SERVICE FEE BE SEND TO US THROUGH WESTERN UNIONTRANSFER OR MONEY GRAMM WITH OUR FINACAL NAME. ON COMPLETION OF PAYMENT DO FORWARD US BY RETURN MAIL ATTACHMENT, COPY OF THE WESTERN UNION TRANSFER RECEIPT TOGETHER WITH COPY OF YOUR VALID OF IDENTITY EITHER PASSPORT OR NATIONAL ID AND YOUR BENEFICIARY BANK DETAILS WHERE YOU WISH THE FUND BE TRANSFERED TO. UPON RECEIPT OF THE ABOVE, WE SHALL PROCEED ON YOUR BEHALF TO HAVE THE RELEVANT DOCUMENTATION PROCURED FROM THE APPROPRIATE MINISTRIES CONCERNED IN THE REPUBLIC OF COTE D' IVOIRE AND SUBMIT THEM TO ATLANTIQUE BANQUE ABIDJANCODE D'IVOIRE FOR IMMEDIATE TRANSFER OF YOUR FUND INTO YOUR DESIGNATED BANK ACCOUNT. YOUR FUND WITH YOUR BANK.